DEFRA minister Liz Truss has given her backing to the new ‘Why Farming Matters’ education packs for primary schools that have been put together by the National Farmers Union (NFU) and Farming and Countryside Education (FACE). 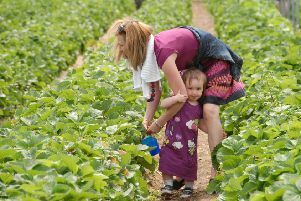 The resource will show children and young people across England where food comes from, and the role farming plays in their everyday lives. The pack has previously received a five star rating from The Times Education Supplement, but following a revamp it now includes new interactive web content and can be used more widely across the curriculum. Teachers will be able to download the videos directly for use with pupils, and in an era when classroom resources are increasingly being charged for, this free resource could have added appeal to Key Stage 2 pupils and staff.